In this example, I will demonstrate how to convert an image in an Windows Form Application to a Base64 String that can be used to populate a report parameter that will be received into a SQL Server Reporting Services report as a report parameter. 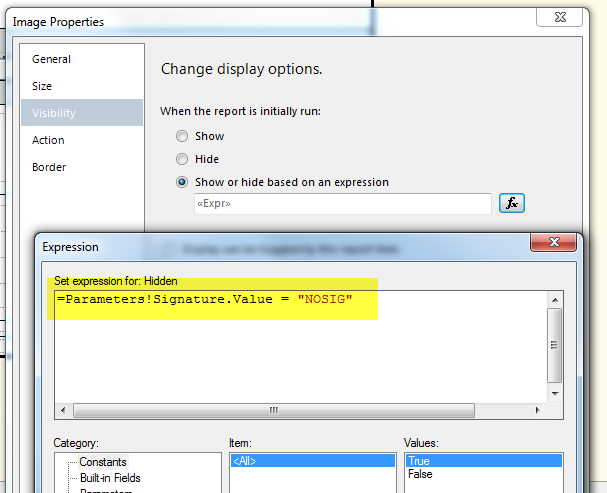 I then pass the variable mSignatureString as a parameter called ‘Signature‘ to the process that calls my SSRS report. NOTE: I don’t cover the reportviewer control that is placed on a windows form and the code behind in this post. 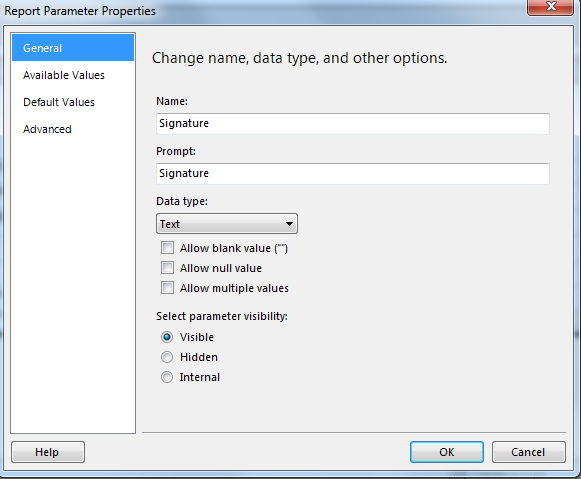 NOTE: If no signature is required on the report, just pass something like ‘NOSIG‘ into the parameter instead so the report can make the image control invisible so not to produce the ‘red X’ box. You will see how I use the text value of ‘NOSIG‘ when building the report below. Add an Image control to the report. Open up the Image Properties. 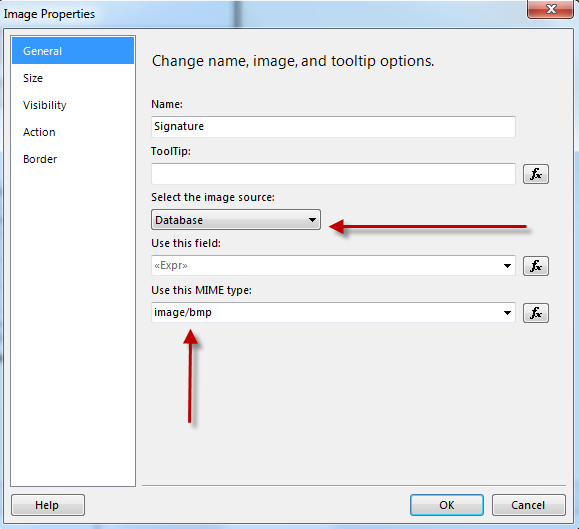 Set the ‘image source’ = “Database” and MIME type = “image/bmp”. 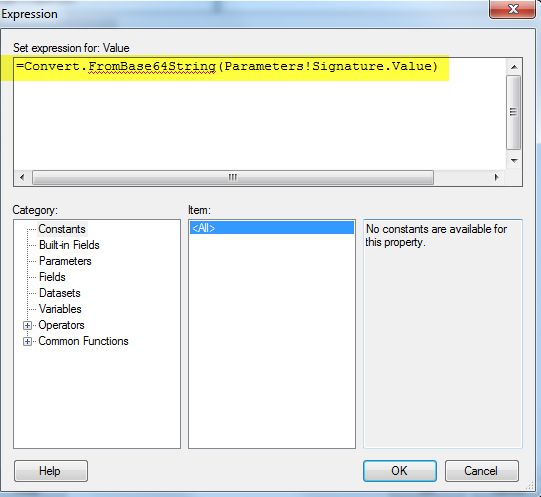 If the parameter value passed from visual basic = “NOSIG“, then nothing will appear in the signature line else the image will appear.